On 26, September, 2016, Monday (The Day of European International Languages), had started the new academic year of Varna University of Management, in city of Varna, Bulgaria. 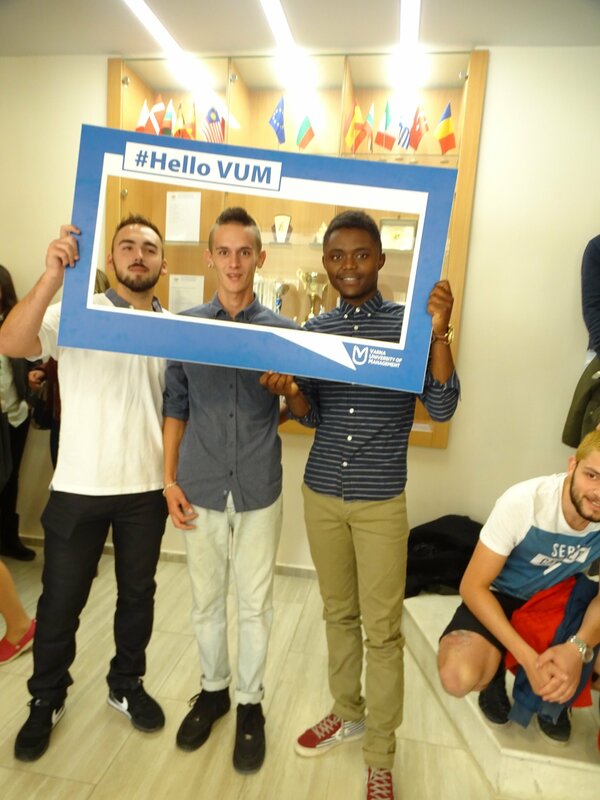 Students from 5 continents (Europe, Asia, Africa, North and South America), coming from more than 40 countries, had started their education at VUM. VUM welcomes for the very first time students from Seychelles, Columbia, Honduras and Tanzania. This year students come from the following countries: Bulgaria, The Netherlands, Greece, Moldova, Finland, Mongolia, Turkey, USA, France, Ireland, Spain, Portugal, Kazakhstan, Uzbekistan, Armenia, Mozambique, Zimbabwe, Austria, Italy, Romania, Cameroon, Egypt, Morocco, Jordan, Belarus, Ukraine, Russia, etc. In the last 20 years, Varna University of Management, has become a recognized educational institution with innovative students, with defending minds, who get educated in a truly unique international environment. All VUM students are enrolled in English-speaking undergraduate and postgraduate programmes, allowing them to graduate with Bulgarian and British Degree Diploma in the fields of: International Business Management, Business Administration, Hospitality Management, Marketing and Management, Business Information Systems, МВА, International Hospitality and Tourism Management. For very first time this year VUM has enrolled students in the following 2 programmes: “Software Systems and Technologies” (part from School of Computer Science at VUM) and “Hospitality and Culinary Arts” (part from “Culinary Arts Institute” at VUM). The opening ceremony of the academic year had started with several pre-opening event, such as: celebration of the European International Day of Languages, shooting of general VUM pictures, introduction to the game “PokeVUM Go”, which main aim was to introduce to the first year students the main sightseeing and attractions of Varna, by taking pictures, which were published in the social media. The official opening of the academic year was started with the speech of the dean – Assoc. Prof. Todor Radev, who marked the 22 year of welcoming students to the university. Some of the official guests who have greeted the students were: Mrs Lilia Hristova, Director of the department of “Education and youth activities” part from Varna Municipality, Mr. Georgi Nedev, Mayor of region “Odessos” in city of Varna and Miss Sonya Golini, a volunteer to the events connected with „Varna European Youth Capital“, in Varna 2017. This year the university has a growth in enrollment of students from EU countries, as some of the most popular are English-speaking courses in the fields of IT, International business and marketing, tourism and culinary arts.